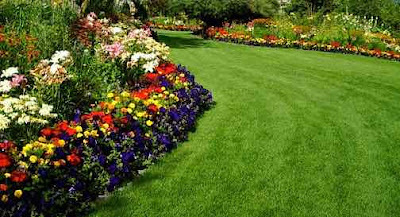 Feng shui is the art of organizing spaces to increase positive energy or Chi in our environment. 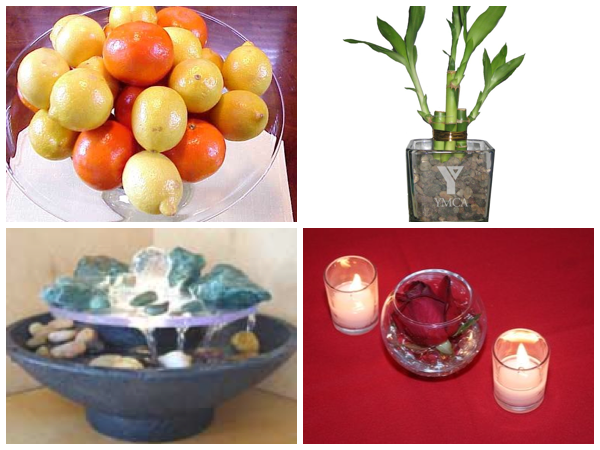 Feng shui pronounced "fung shway" originated in China. Feng shui means wind and water in Chinese. To create a healthy, wealthy, and balanced interior design environment you should use the five feng shui elements of nature (water, fire, earth, wood and metal) in different combinations and form in every room of your living space. Create an inviting, appealing, and welcoming atmosphere in the front area of your home as positive energy enters your home from the entrance door. De-clutter, tidy, clean, and organize every room in your living space. This will let you feel calm, comfortable and relaxed. Avoid dark corners, low ceilings, dark colors and sharp pointed objects because they produce negative energy (roundness is preferred in feng shui). Keep rest and work areas separate. Don’t put a computer or a television in a bedroom. Decorate your space with fresh plants, flowers, and fruits to promote positive energy and to bring good luck to your living space. Keep your bathroom toilet lid down. The toilet is a drain, and if you leave the lid open you will let good energy drain out of your home. Put a fountain or an aquarium facing the front door of your home to welcome the good Chi energy into your home. Water elements attract good Chi and promote a feeling of relaxation and harmony. Don’t hang or place a mirror facing your front door; it will reflect good Chi energy out of your home. Display a bowl of fruits in your master bedroom to encourage sexual healing. Accessorize and decorate your home with bamboo, small rocks and candles. Display oranges and lemons in your living space to bring good luck. Avoid placing the sink, dishwasher, or the refrigerator facing the stove in your kitchen design. This arrangement will cause contradiction within your home. Keep the ceilings in your home flat. Ceilings with too many beams imply heaviness and pressure in feng shui. Fill your living space with proper Colors. Any shade of yellow in the kitchen, family room or living room is excellent choice for promoting good Chi energy. Open the windows often in your home to let in fresh air and good energy. Do not let mirrors reflect your beds in your bedrooms. 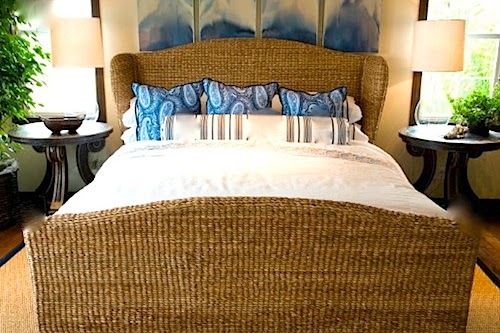 In feng shui a bed reflected in a mirror depletes your body of personal positive energy. 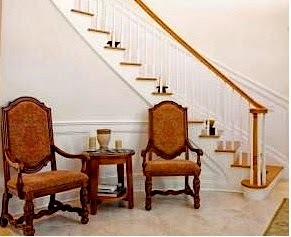 Add wainscotings, chair rails, or mouldings to give character and charisma to your staircase area. This will help positive energy stay longer in your house, especially if your stairs are located directly opposite your front door. 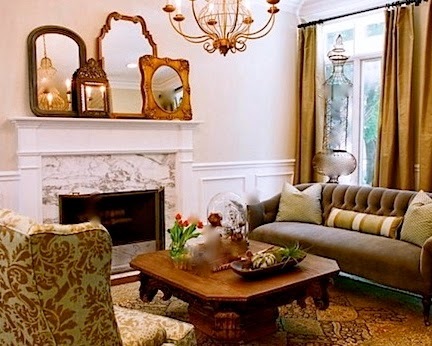 Install chandeliers and sconces. The lighting from chandeliers and sconces helps in keeping good energy stay longer in your living spaces. Do not display a clock in the entrance area of your home. Guests entering your home will feel unwelcome. Display a clock in busy areas: such as family room, the kitchen and the home office. Don't block the windows in your home if privacy is not a concern. Feng shui can be used with any interior design style to improve our quality of life and to create a harmonious, happy, wealthy and healthy home environment.